Hello | Welcome back to Townhouse Palette! 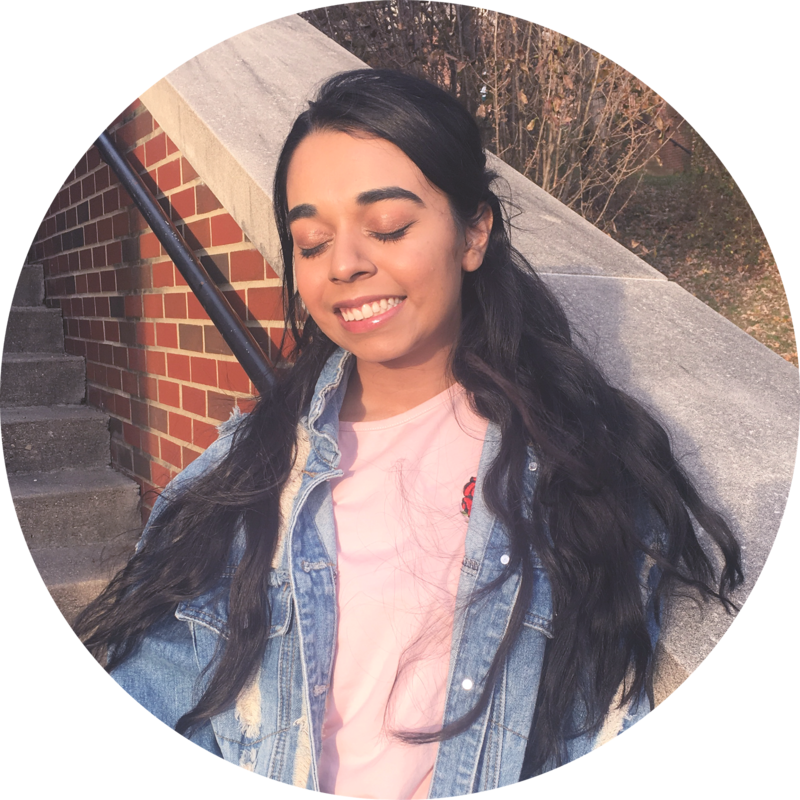 I have been pondering for some time on what to write about, I told myself I would do a February Favorites post. When I sat down to 're-discover' what is worth talking about from February, my mind just went all over the place! Then I was like 'Wait, I'll do a review!' 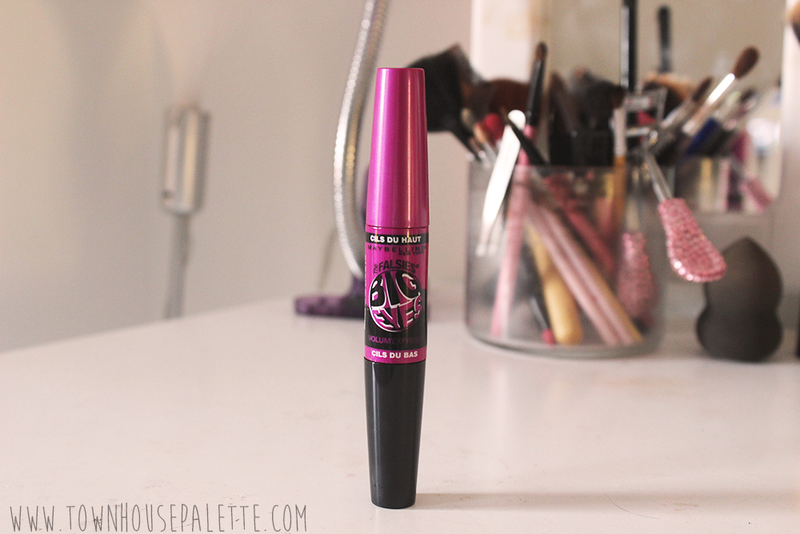 I have never done a Mascara review on my blog before and the newest mascara I have is this Big Eyes Mascara, which I got for my Birthday. 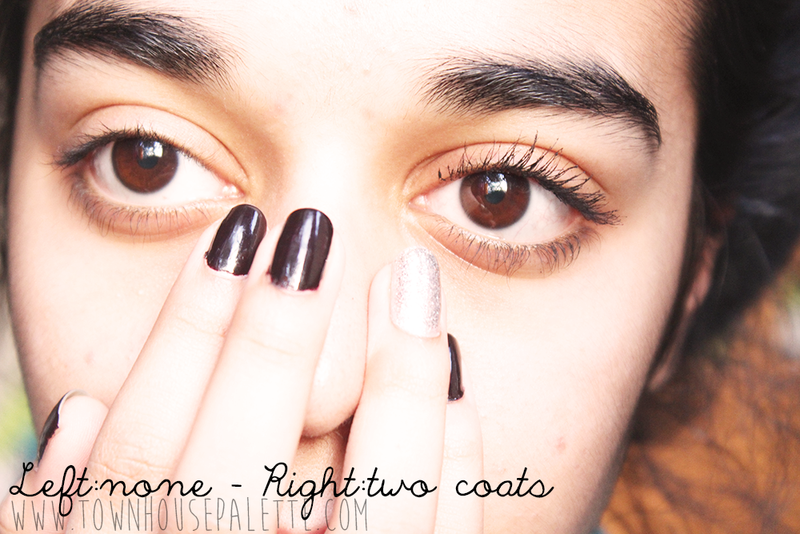 When it comes to Mascara, I tend to be very picky. 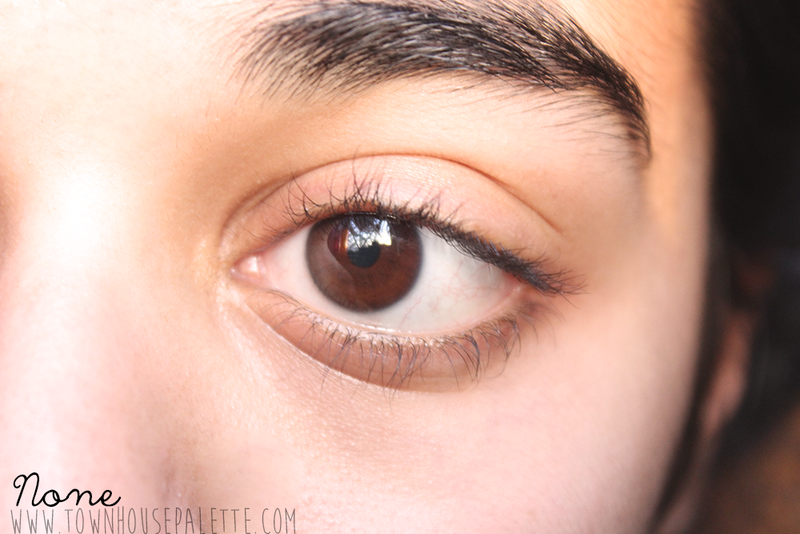 I like my mascara to define, thicken my lashes, and lift up my eyes. I hate when it clumps and has tiny flakes floating that look like pieces of tree bark. I dislike when my mascara smudges and creates shadows under my eyes. I also don't like when all my lashes overlap each other, but I sadly have no control over that >.< The thing I hate the most, is when it does not look natural!!!! First off, I love the concept of this mascara having two different brushes to apply the formula. I like the lower lash brush because I can apply mascara and not worry about the brush applying the mascara to my skin behind my lashes. It thickens my lashes, but they still look natural. 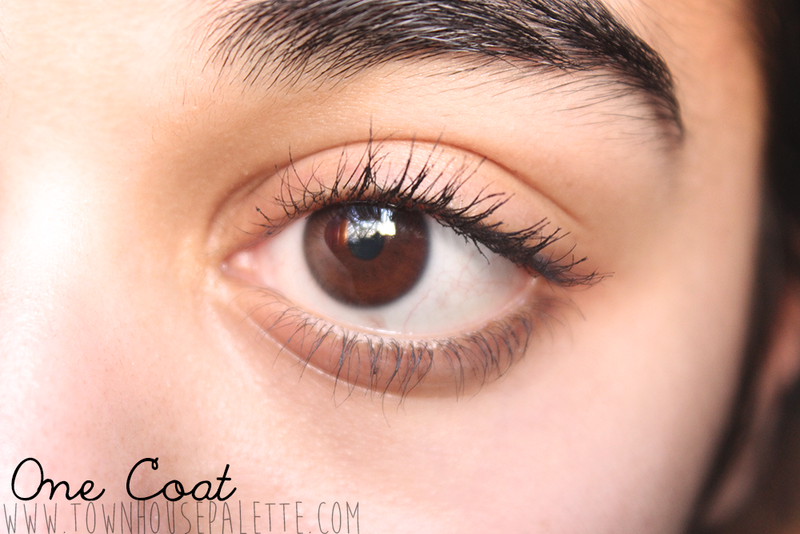 The brush for the upper lashes works the same when applying one coat, you can see above, it thickens your lashes, but in a way it is natural. When you go in for coat two, that's when things get sketchy. It clumps up and it creates a wrinkly texture. 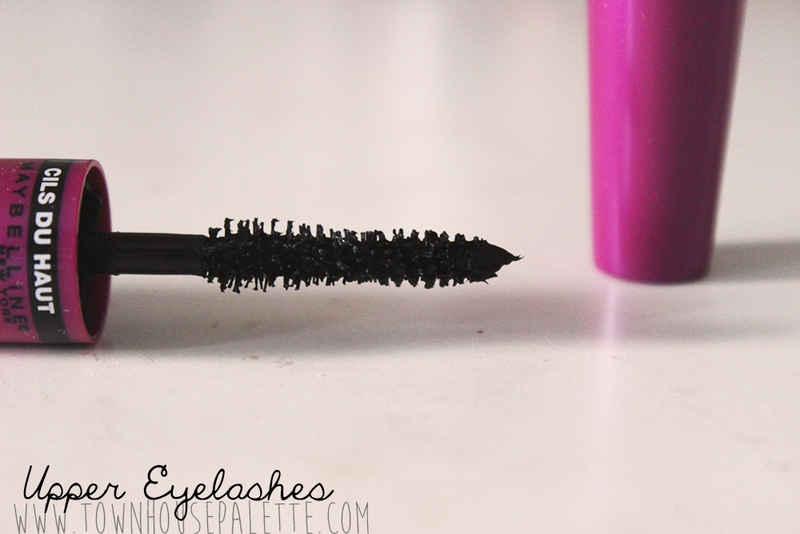 That is something I don't like when I wearing the mascara for everyday use. They only time I like going for thick lashes with a wrinkly texture is when I am filming or taking pictures because it it not as noticeable on camera and makes my lashes look fuller. 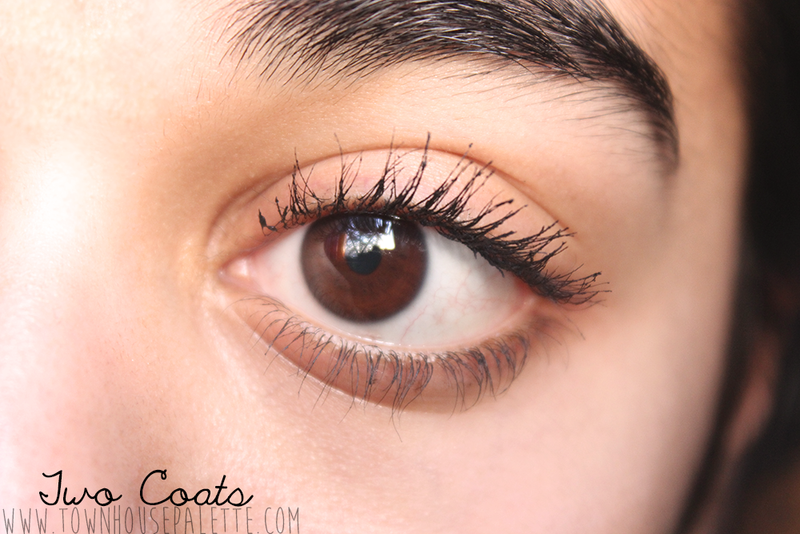 I would say this mascara is an overall very nice mascara, tres bien! It holds a curl and is versatile in a sense it came be worn lightly or heavily. 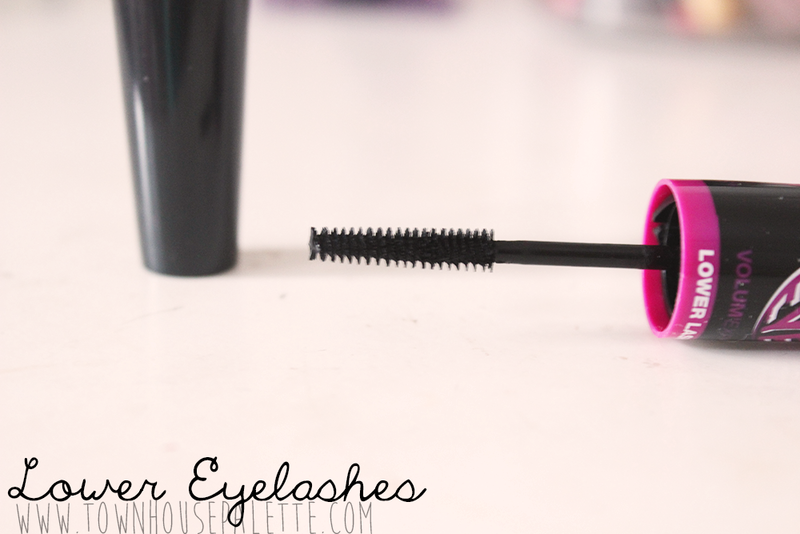 When you use this mascara you can really see how the brush plays a part in overall application. The thick brush creates volume and the small brush creates definition. I would repurchase it and recommend to a friend. Thank you:) I was getting really sad because no one commented on this post, but you made me feel a lot better!